Anybody who lives on the East Coat can easily say that this winter has been cold, but did you know that this could be one of the coldest winters the East Coast has ever seen? Everywhere from New England to Florida has seen record low temperatures throughout this winter, and they’ve all seen snow – lots of it – as well. Temperatures have been as low as -20 degrees Fahrenheit in New Jersey, and as low as 49 degrees Fahrenheit in Florida. Recent freezing temperatures have caused schools all across the East Coast to close. Some schools have had more snow days than usual for this time of the year. This, unfortunately, leads to more school days being added on to the end of the year, as well as vacation days being taken away from students. Niagara Falls in Canada is 85% frozen because of extremely temperatures this winter. 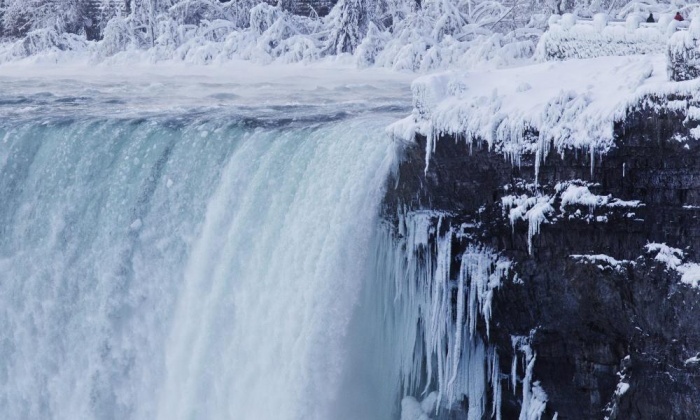 The famous Niagara Falls is almost completely frozen because of these freezing temperatures. The cold is staring to concern people living in these areas. Simple tasks like taking garbage out to the curb have become more dangerous and more hazardous because of icy roads, sidewalks, and driveways. 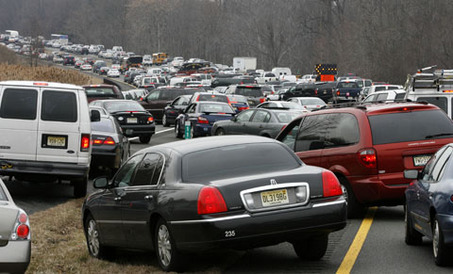 There have been multiple car accidents because of the icy road conditions—one in particular being a 48-car pile up on the New Jersey Turnpike on February 9th of this year that left one dead and many injured. “Last night’s accident is a sad reminder of the importance we all play in ensuring our roads are safe—whether it is the work our maintenance crews and contractors do, or the need for car and truck drivers to exercise caution during inclement weather,” says Steve Kotch, a witness to the car crash. Icy roads have resulted in fatal car crashes this winter, including a 48-car pile up on the New Jersey Turnpike. Winter storms are causing problems for some citizens as well as their houses. The pipes in some houses are freezing and breaking. This means the people whose pipes are frozen or broken might have to go without warm water for long periods of time during this season of cold weather. This type of cold weather is potentially deadly for people who have no protection from the elements. Therefore, cities have relocated some of the homeless from the streets to the shelters. But as population in the shelters is increasing, so is the need for necessities inside these shelters such as food, water, and clothing. Even though the winter of 2015 has been tough, the residents of the impacted states have shown to be even tougher. It’s winters like these that have everybody looking forward to the first signs of spring and summer.